2. (+) Diversity - A Norse god, Egyptian Goddess, Zulu God, Polynesian Goddess, Shinto Goddess, and Greek Siren. Can you get anymore diverse than that? I liked the way Mr. Knight incorporated all of these mythologies and religion together and allowed them to define the personalities of each character.... Though I was disappointed that we didn't get to see Ash's past, but I think the explanation for that was that she blossomed into her abilities later than the rest of them. 3. (+) Idea - This goes along with the diversity part, but I liked the idea that the gods were not being reincarnated as they should be... and Ragnarok is not something I've read before. I'm still confused as to which side to trust? or to think is the villain? but I have some sort of idea where the series is going. And I like the idea that the gods have to know themselves before they can master their problems. Linking self-discovery to powers is a nice touch for a YA book. 4. (+) Humor - The dialog is witty. There's not much to say about this except that I could actually picture the characters and their back and forth. They felt alive. Very few YA books that I've read have had the same authenticity that the characters in this book have. 5. (+/-) The Writing - And yet even though the dialog is a plus, there were other parts to Mr. Knight's writing that I didn't enjoy. For one, look at #9 for the reflection aspect. And yet another negative, for me at least, was when he was explaining each gods's power. The characters can see each other's past, but Mr. Knight chose to employ second person narrative here in what I believe was meant to be a "showing" rather than "telling" scene visa-via dialog... In my opinion, this did not work. You don't often come upon second person narratives because they tend to isolate the audience, which is exactly how I felt. I was a lot less attached to the characters in those pages and honestly? I had to chug through those pages despite my curiosity. On the whole though, the rest of the writing was fine. 6. (+) The Romance - This wasn't the typical paranormal romance. There were no teary-eyed "I love yous," and in fact, sometimes it got brutal. Other times, it was snappy dialog and what I'd actually expect to find in a boarding school... or even in college, to be honest. It was realistic, and for that I give it props. 7. (--) Cliff-Hanger - WTF. That is my reaction to the end of the book. I also looked up the information I got at the end and am now thoroughly confused/wondering about Ash's instructions. Not good at all. It's not the type of ending that gets you excited for the next book... For me, the ending was more like... Couldn't you have found a way to establish this better? So I wouldn't be more shocked at the end of 400 pages? 8. (+) The Villain - Eve vs. Ash. A very compelling battle throughout the book. Eve is not the storybook villain... nor are the other potential villains. You can feel the threat of Eve throughout the book while still seeing her vulnerable side. I really wish I got to know more about why Eve changed so radically, though. Was that about the time she found out she was a goddess? Or what? 9. (--) Lack of Reflection - Sometimes Mr. Knight's cliff-hangers (at the end of individual sections) left me so confused that I wanted some explanation, at least some reflection, but Ash does not seem to think extra about the events around her. I am thinking of one part in particular when I found that perhaps their source of information was wrong / coming from the enemy? but the next chapter featured very little on it. Ash had maybe three sentences of commentary and that was it. I was expected to just roll with it as a reader, and it was terribly frustrating. Also, perhaps this is because of Ash's lack of reflection (and her tendency to not push other people unless provoked), but one of the characters surprised me with his/her personality shift. Even though there was a scene to "set it up," it was like a 180 twist that didn't feel realistic at all. 10. (--) The Cover - Honestly? This cover does not attract me to this book at all. Yes, it's different than the typical YA book, but what the hell is it supposed to even be? Volcano flames for Ash? If that's the case, it doesn't look like them at all, and the image makes it hard to see the title. 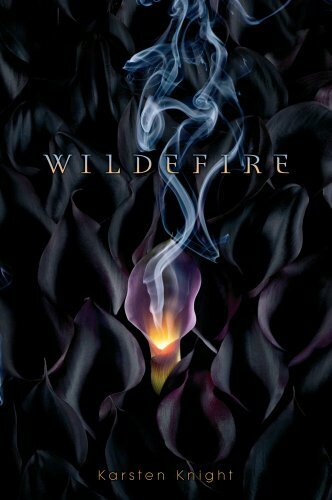 Wildefire has compelling characters, a unique exploration of gods & goddesses, and an action packed relationship between the protagonist and the villain. I'd recommend this book to anybody who likes their characters to have a spark in them and enjoys a paranormal book with romance that isn't plagued by the "zomoghshga!! hawt boy alert-instant connection!!" deal. This is my first 30 books in 30 days review. Hope you enjoyed it :). I like the way you review the books. I am new to your blog but I'm glad I came across it. The positive and negative finds are very helpful. And I agree about your thoughts on second person narratives, they can some times irritate me. 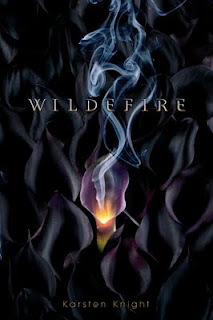 But this book is on my TBR list because of the fact that I love to read any type of mythology stories, whether they are fiction fantasy or one of my beloved books like Aesop Tales.